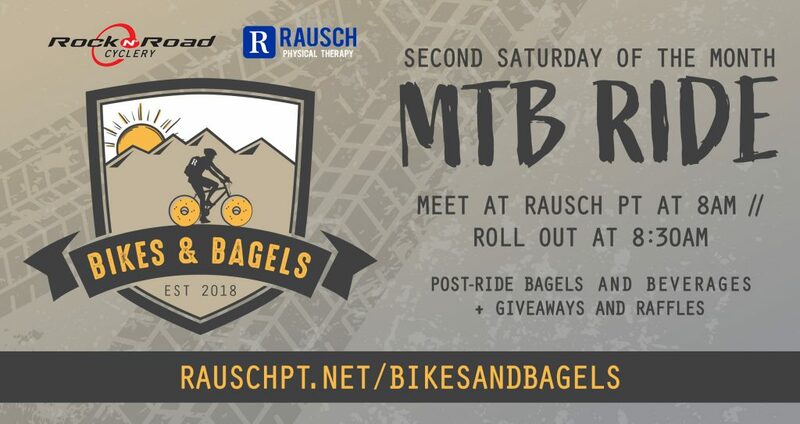 Join Rock N’ Road Cyclery and #TeamRauschPT for a fun, free social mountain bike ride for beginners and intermediate riders every 2nd Saturday of the month! Meet here at Rausch PT (30100 Town Center Dr #Y/Z, Laguna Niguel, CA 92677) at 8 AM, ride leaves at 8:30 AM. Post-ride bagels & beverages + awesome giveaways & raffle prizes. Let us know you’re riding with us! Go to the Facebook Bikes & Bagels Event page and click “Going.” Be sure to share with your MTB friends while you’re there!